German Manufactured Original "Euronetz" Netting! For Sheep, Lambs, Poultry, Pigs, etc. 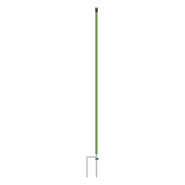 This well-known and proven Euronet made in Germany is equipped with two ground spikes and an extra conductive upper polywire. This ensures the highest level of safety. 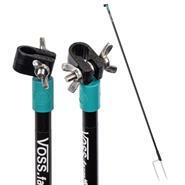 The VOSS.farming Euronet is notable in particular for its high quality and practicability. Simply unroll the netting, set it up, and the fence is complete. The pasture net is highly versatile. It is used by professional shepherds in sheep-farming, and also by hobby farmers for keeping goats, pigs and a variety of pets. 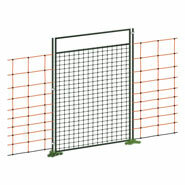 The closer mesh in the lower section of the Euronet facilitate its use for smaller animals such as lambs or poultry. 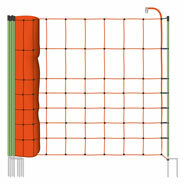 A special feature of this electric fence netting is its extremely sturdy and conductive upper polywire. 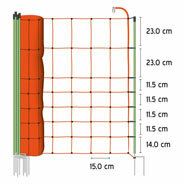 6 x 0.20 mm stainless steel conductors and extra-thick plastic filaments differentiate this netting from a standard net. 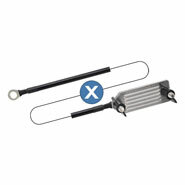 The other 5 live polywires are equipped with 3 x 0.20 mm stainless steel conductors. 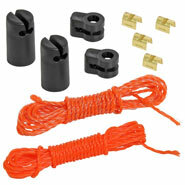 The non-live ground wire is strengthened with additional plastic filaments, which makes it particularly tear-resistant. 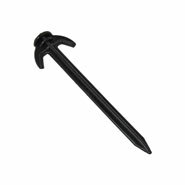 The 14 plastic posts with double spikes ensure very good stability. 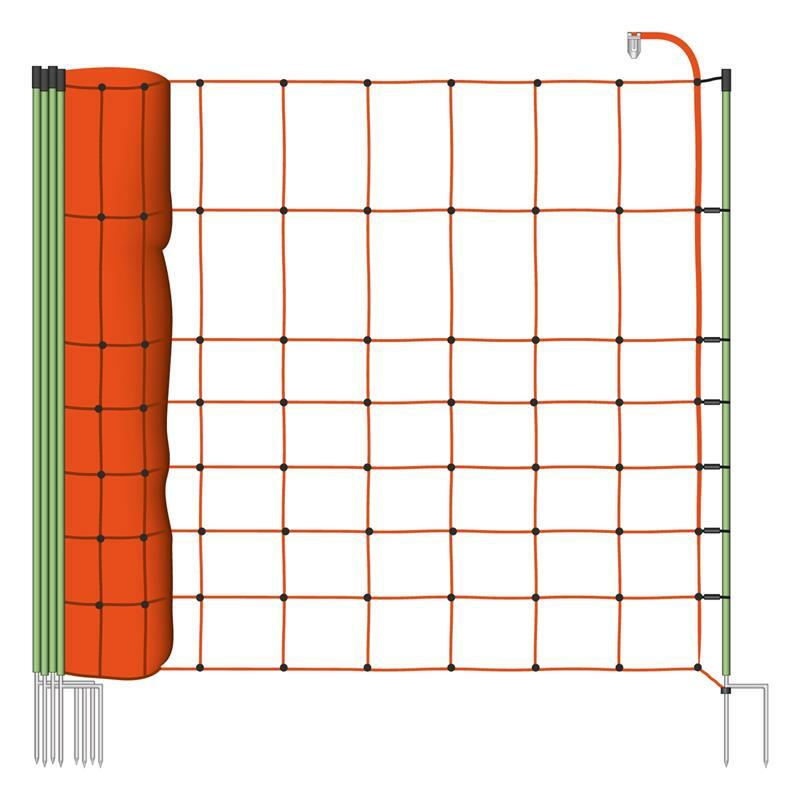 Even hilly terrain or uneven surfaces will not affect this electric netting. professional quality, recommended by shepherds! 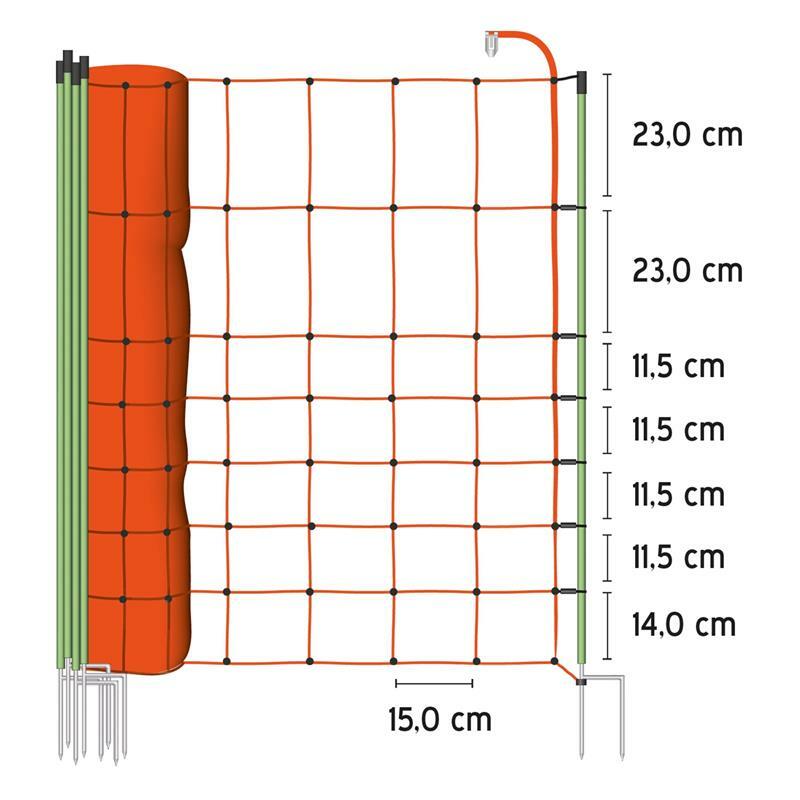 the top polywire is additionally reinforced with 6 stainless steel conductors and 24 x 0.40 mm plastic filaments. 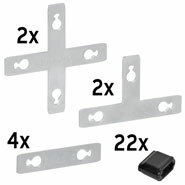 Tip: Very suitable for use together with fence connection cable (Item no. 33614). insulation cap and bottom stopper make it almost impossible for the wires to come loose. each mesh crossing point is inseparably joined by a welded plastic seal.